Been reading Gerhard Richter, A life in Painting by a biography written by Dietmar Eleger. This painting was first exhibited at a show named Neue Realisten. included Konrad Lueg, Sigmar Polke, Gerd Richter at Galerie Parnass, Wuppertal, Germany, November 20 1964 – January 01 1965 according to the artist’s information. 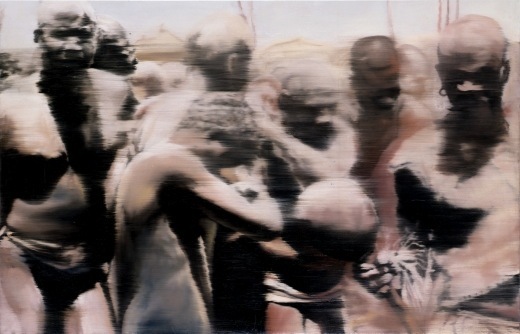 Hard to imagine given the situation today, Sotheby’s reports that Neger (Nuba) 1964 just sold for a little over $5.6 million – (yeah million) as an key example of early “photo paintings” by Richter. I wonder what someone like Richter thinks about that…? I hope the work ends up in a public venue. See the catalogue here. The thing about these photo paintings and Richter at a grand scale is not to think of appropriation, but to think about perhaps that it may just be that it takes a painting to be able to really see a documentary , or so called “objective” photograph …. The original photograph not incidentally by photographer Leni Riefenstahl… AKA “Hitler’s favorite filmmaker“….. 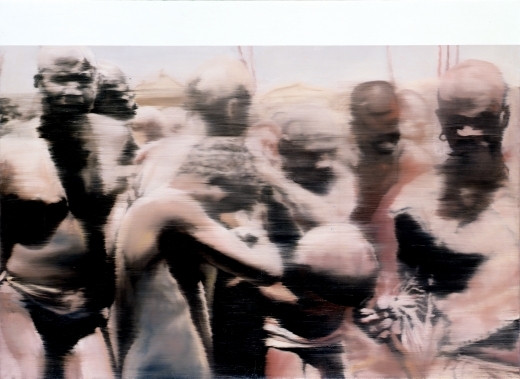 This entry was posted in Painting, Photography Journalism and tagged Documentary, Gerhard Richter, Leni Riefenstahl, Negroes (Nuba), Painting, Photography, photopainting, sale, Sotheby's by Matt Niebuhr - West Branch Studio. Bookmark the permalink.